Our world rests on a pillar of electricity, all encompassing us is electric power. Therefore it is true you are going to need electricians in Craigieburn. Be it for installations, upgrades, or typical repairs, you are going to need someone you can trust your electrical needs to. 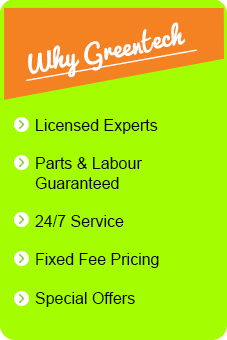 Well, look no further, GreenTech Electrics has got you covered here in Craigieburn. We are your able deputy as to your electrical needs, diligently ready to meet all your electrical errands. Excellence is our hobby and your satisfaction our obsession. Our experts would leave no stone unturned in restoring that smile back deservedly to where it belongs: your face. How will we do this? Certainly by giving you the best of electrical service you can get. Our reliability and affordability gloriously separate us from the bunch of electrical contractors parading all about Craigieburn. Do you know how dangerous it is to have someone inexperienced or technically bereft handle your electrical needs? Aside from this malfunction that escorts his ineptitude, there is the screaming danger of electrical mishap (like electrocution) your loved ones are exposed to. This is why you should stop economizing on expertise and get the best out there in Craigeburn. GreenTech is right there for you. Armed with the best of experience and technical onus, we guarantee you the best quality service, well safe and affordable. Our service sets us apart, our dedication to excellence typifies us radiantly from the crowd. At GreenTech Electrics, it is the best or nothing! We have been able to build a delectable reputation by refusing to compromise on quality even for a second. Our customers bask in the confidence that when they get us for their electrical needs, we are not leaving without giving them the best-quality, durable, affordable and safe service. When it comes to innovation, there is GreenTech Electrics leading the pack. We have an inspiring appetite for the new, and a yearning for the modern. While conforming to industry safety, we reserve a large space for innovation making sure you enjoy the latest technology and newest gadgets in town. Once technology comes in, we domesticate it and bring it to your home straight away. This way your home always has the flash of the contemporary. Your safety means so much to us at Green Tech Electricals, we take the pains and efforts to thoroughly vet our personnel ensuring there is not a dirt of inadequacy in them? What is your project in Craigeburn? Could it be that gigantic installation that you are worried very few have the technical capacity to handle? Why don’t you try us and see if we measure up? Surely you would be swooning in satisfaction after we have done what we are famous for. Repairs, upgrades, we have got your back safely. Electrical needs can happen around the clock 24/7, hence in Craigieburn, we are 24/7 available for your service. We have our ears standing alert waiting for your call. Try us today and you would be mesmerizingly happy you did!